You are here: Home > News > Heritage Angel Awards to feature ‘Buildings of Belfast-Heritage in Song’! 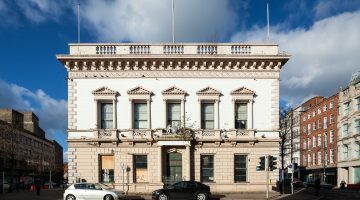 Heritage Angel Awards to feature ‘Buildings of Belfast-Heritage in Song’! Local artists to support first ever Heritage Angel Awards for Northern Ireland. 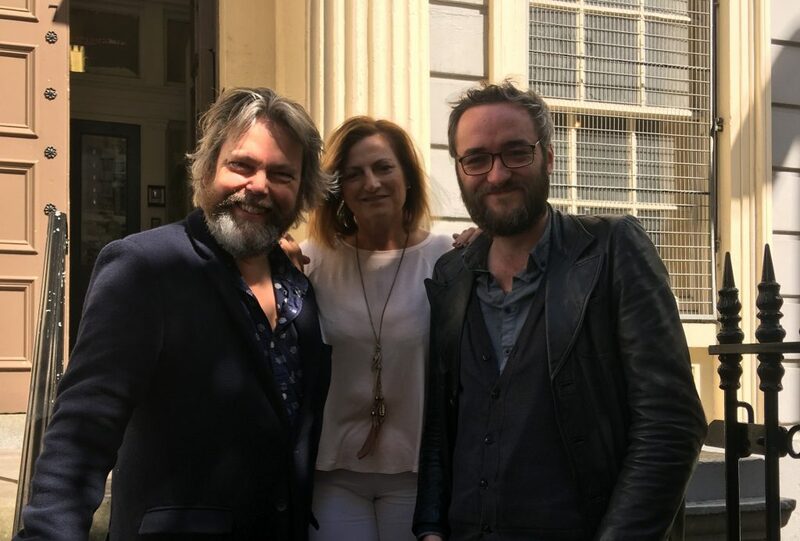 The Ulster Architectural Heritage Society is pleased to announce that it has received funding from the Heritage Lottery Fund (HLF) for an exciting project, Buildings of Belfast – Heritage in Song. 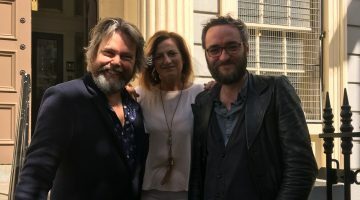 The idea was conceived by local songwriter Brigid O’Neill who will work with the UAHS and other local songwriters including Duke Special, Anthony Toner, Steve McCartney and Gareth Dunlop to compose songs around the heritage theme to raise awareness of the threats and successes of some of Belfast’s most historic sites and buildings. The material will be performed by the artists at the Heritage Angel Awards NI Ceremony in the Grand Opera House on Tuesday 7 November 2017. 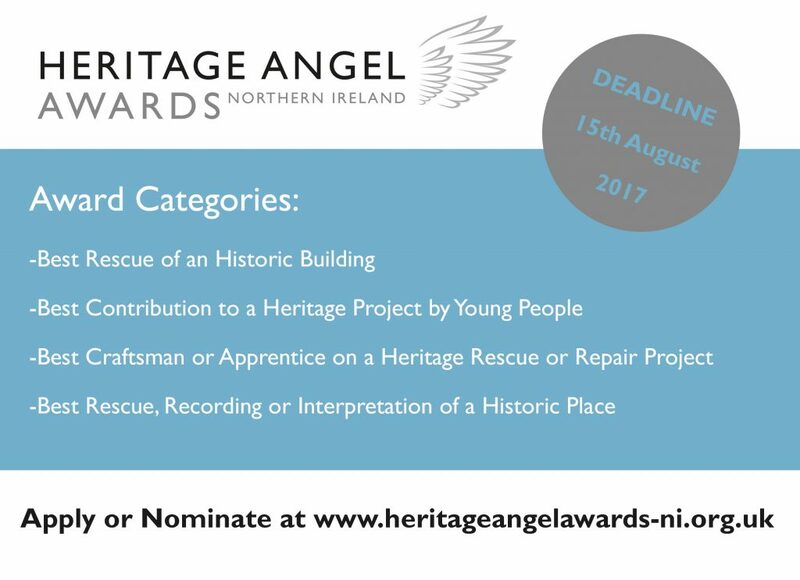 The Heritage Angel Awards is an exciting new project for Northern Ireland, launched in June 2017. These annual awards aim to celebrate unsung angels of local heritage and are funded by the Andrew Lloyd Webber Foundation and the Department for Communities. We are looking for individuals and groups who have rescued an historic building, completed heritage projects, worked as craftsmen or apprentices, or perhaps recorded and interpreted a historic place. The Andrew Lloyd Webber Foundation was set up by Andrew Lloyd Webber in 1992 to promote the arts, culture and heritage for the public benefit; since inception Andrew has been the principal provider of funding for all its charitable activities. 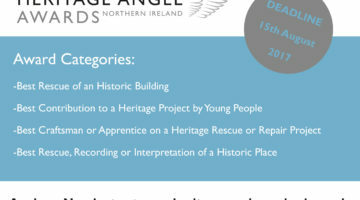 Keep up to date with the latest from the Heritage Angel Awards NI on Twitter and Facebook at @ulsterahs. Annual Heritage Angel Awards for Northern Ireland from 2017. The Ulster Architectural Heritage Society will be introducing Heritage Angel Awards to Northern Ireland in 2017. The awards will be supported by the Andrew Lloyd Webber Foundation and the Department for Communities. 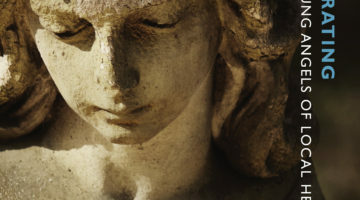 Heritage Angel Awards: Information Events! 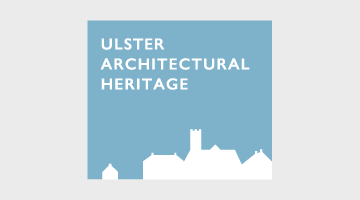 From 26th July the Ulster Architectural Heritage Society will be out, across Northern Ireland, helping you to find out all about the Heritage Angel Awards Northern Ireland. UAHS will be supported at these events by our funder and partner, the Department for Communities. Launch of Heritage Angel Awards NI! Apply or Nominate Now. 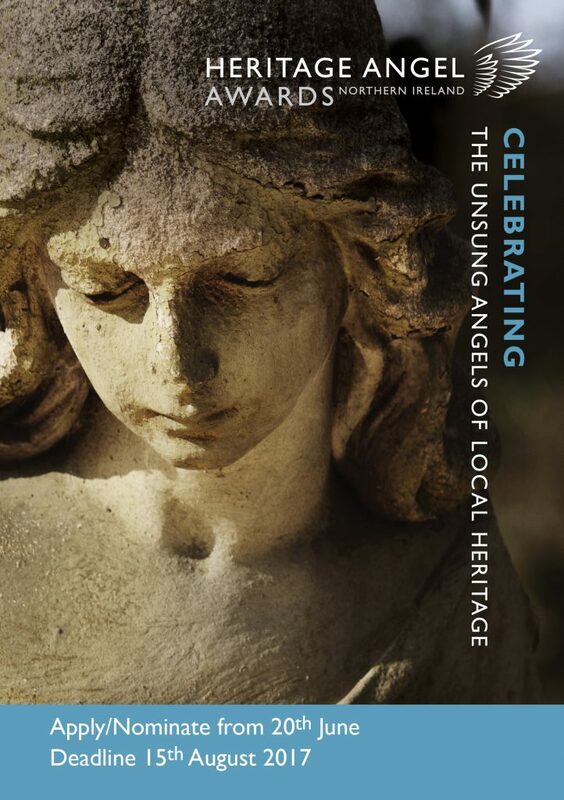 The Inaugural Launch of the Heritage Angel NI Awards took place this week in Belfast.